The Grenville is a private members snooker club. Our club is located at 702 Warwick Road in Solihull Town Centre next door to House of Fraser. The club consists of 3 snooker tables, bar and lounge with dartboard. Applications for new memberships are invited. In 2019 we have four teams playing in the Efficiency Snooker League for those who enjoy competitive Snooker. These teams cater for all standards of play. The teams are always looking for players of all standards, if you are interested, speak to any committee member or anyone behind the bar for further details. 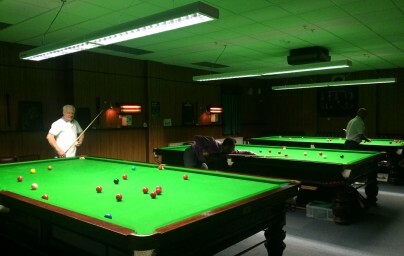 The Grenville Snooker club is run by a Committee of volunteers. It needs to cover costs to survive but any profits are held for subsequent re-investment in the club for the benefit of members. It is expected that members will treat the club as if it were their own and on that basis members are provided with keys allowing access to play snooker when the bar is not staffed. The Club has been in existence since 1922 when Mrs. Annie Grenville donated premises in Warwick Road so that the "working men of Solihull" would have a place to socialise. Those premises were subject to a compulsory purchase order in 1965 to make way for the Mell Square development. We have been in our current premises for over 40 Years. 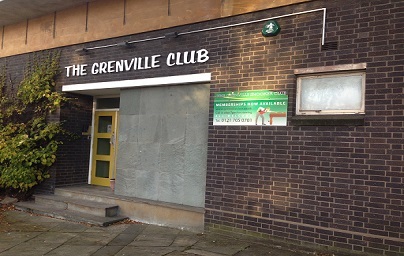 The Grenville is a small club with around 100 members. This provides a friendly atmosphere where most members will know the majority of other members. It is easy to get to know people and develop new friendships through the game of snooker and via the many social events organsied through out the year. We are now actively recuiting members. To be considered for membership please telephone for more information (between 7pm and 11pm only): 07821554088.